Following a lull, the Bitcoin has started to witness an upward climb. 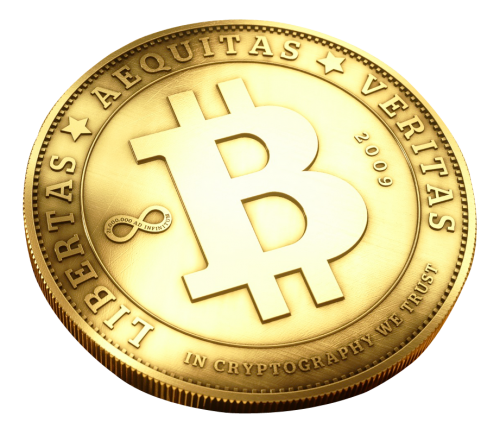 The Bitcoin is one of the world’ most popular and stable digital currency. The prices of Bitcoin have become much more and today this crypto currency trades at $2200. To understand how this sudden surge could have been triggered, certain factors need to be understood. To begin with, though Bitcoin may be a huge currency, it is not the only one around. There are many other crypto currencies that are popular today and their total value amounts to nearly $79 billion. Bitcoin’s contribution is half of that followed by Ethereum and Ripple. As a payment platform and a digital currency, Bitcoin has earned a lot of appreciation. However, this new breed of coins for digital transactions is quite distinct. Ethereum for instance has many advanced features and years to become block chain-based foundation. When the price of any product shoots up suddenly, there is always a reason for it. When a company experiences a good quarter, its stock prices will automatically soar. And when there is a crisis, there is an automatic increase in the demand for gold viewed as safe investment. In case of Bitcoin however, this kind of a situation is not going to occur. At the same time, with Bitcoin, there was a recent surge in its popularity. According to experts in crypto currencies, this can be attributed to developments taking place in Japan. Japan has recently recognized Bitcoin as a digital currency. Price difference in other markets and Japan results in arbitrage which traders exploit. This has also driven many inexperienced investors into the market which may be responsible for this bubble. Moreover, crypto currencies are known to be very volatile. Prices of Bitcoin have slumped in 2015 and this new rise may not be for a long term too. Most experts believe that these digital currencies depend upon user adoption. So, regardless of how the market may look at the present moment, crypto coins have a long way to go. Bitcoin adoption is low but the trade of crypto currencies has been gaining momentum steadily. Currencies like BitStamp and Coinbase are converting dollars into ETH and BTC. So, this could have been somewhat responsible for the boom. When people notice that something has increased in value in record time, they usually want to experience it. To be able to predict price changes is tough and in a short period of time the value of all the crypto currencies spiraled another $16 billion. Predicting a volatile market like that of digital currencies turns out to be more challenging. In case the prices of Bitcoin start to plunge, you may not be able to save yourself from complete disaster. Experts are optimistic that digital currencies will bring about long-term growth. The truth is Bitcoin is deflationary by nature. This means that few Bitcoins are mined with passage of time. So, at some time in the near future, rewards for miners will plunge to 12.5 bitcoins from 25 bitcoins. While it is not sure as to how this cut in prices will impact the market prices, experts feel that the surge in Bitcoin price may be because of the stress on mining supply. Ethereum is growing strongly and is found to be more stable compared to Bitcoin. This growth of a rival currency seems to have rubbed off on the growth of Bitcoin in the recent past. At the same time, Chinese investors have been moving funds faster between assets to get high returns. So, Chinese activities may be responsible for Bitcoin booming. However, there are as always experts who feel that this effect too will not last. Therefore, it is hard to say how long this boom will continue, price surges may be an indication that such currencies are catching on finally. It could also be an indication of its volatility which has earlier driven people to rush in to make a quick buck and then to collapse when the prices take a dive. Is DDoS so Important to Care about? Are you Migrating to a New Web Hosting Service Provider? Stay Secure from Mass Ransomeware Attacks – Know How? Can Managed Hosting Help eCommerce Business? MySQL – How Does This Hosting Tech Help and How to Use It? Can Virtualization Help in Disaster Recovery? Can Visual Search Change SEO for E-Commerce? What Type of Hosting for WordPress – Shared, VPS, or Dedicated?